From Wikipedia, the free encyclopedia. Arlene Martel (April 14, 1936 – August 12, 2014) was an American actress and acting coach. Prior to 1964, she was frequently billed as Arline Sax, Arlene Sax or as Tasha Martel. In 1962 Martel made her first of two appearances on Perry Mason as Fiona Cregan in "The Case of the Absent Artist". Later, she guest starred as Sandra Dunkel in "The Case of the Dead Ringer" (1966) when Raymond Burr doubled as Mason and the actual murderer Grimes, an old sea salt. Martel appeared in the Star Trek episode "Amok Time" (1967) as T'Pring and the original The Outer Limits episode "Demon with a Glass Hand" (1964) written by Harlan Ellison. Martel played the princess Sarafina on Have Gun – Will Travel, the evil witch Malvina on Bewitched, the French Underground contact Tiger in five episodes of Hogan's Heroes, a female cosmonaut on I Dream of Jeannie, a Hungarian immigrant Magda on The Fugitive episode "The Blessings of Liberty" (1966), and, memorably, as the nurse who repeatedly utters the sinister phrase "Room for one more, Honey!" at the entrance to a hospital morgue and as the stewardess at an airplane door in the Twilight Zone episode "Twenty-Two". She also appeared in the season-one episode of The Twilight Zone "What You Need". She was billed (as Arline Sax) as a featured actress in the episode of Route 66 called "The Newborn," in which she gives birth. She also made guest appearances on The Man from U.N.C.L.E., The Untouchables, Mission: Impossible (season 4, episode 20, 1970), appeared as Asastia in Here Come the Brides (1970, episode "To The Victor"), The Wild Wild West, Battlestar Galactica, the 1968 movie Angels from Hell, and two appearances on The Monkees. She played Interpol agent Violette in The Six Million Dollar Man episode "The Last of the Fourth of Julys" (season 1, episode 10, 1974). She appeared as a featured actress in the Gunsmoke episode titled "The Squaw" (1975). 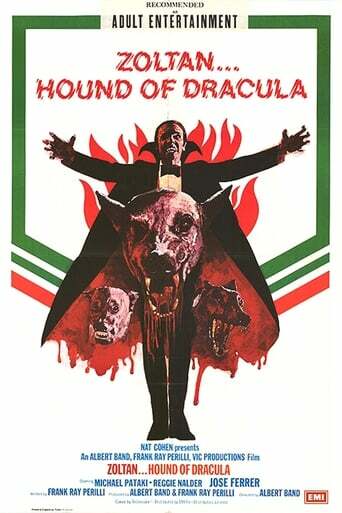 She received top billing when she starred as the lady commandant in charge of the Russian road crew in Zoltan, Hound of Dracula (1978), although it was only a bit part lasting less than five minutes of the 97 minute movie. She also received credit in a font so large that it was almost twice as large as that used for Reggie Nalder or Michael Pataki, the leads who occupied most of the screen throughout the movie. She appeared in the Star Trek webisode "Of Gods and Men" in the final scene as a Vulcan priestess initiating a marriage ceremony between Uhura and Vulcan native Stonn (a character from the episode "Amok Time", played by original actor Lawrence Montaigne). She played Gloria, mistress of Tony Goodland (Bradford Dillman) in the Columbo episode "The Greenhouse Jungle" (1972).